As a business owner, don’t you feel like you do everything? Like you must be an expert at all the elements of running a small business? At Miranda Management and Accountancy Services Ltd, we know exactly how you feel, being a small team of auditors in Southall ourselves. This is why we invite you to talk to us about your professional accounting and bookkeeping services. We are providing our services in Southall and the surrounding area. 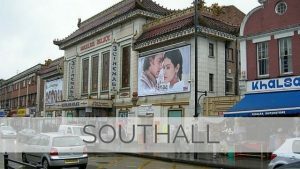 Southall has seen an increase in small businesses, so the market is increasingly competitive. Let us take the stress of annual reports, business taxes and payroll be taken away from you and put into the hands of professionals who have years of knowledge and experience. We treat every client as a unique project that has very varied needs and it is our promise to make sure you are happy with our services. Customer satisfaction is extremely important to us. That’s why we take great pleasure in providing Southall with such professional services. As we believe small businesses are the future of this country. Over the years we have worked with a huge variety of business owners who have come to us struggling to get to grips with their finances. Feeling overwhelmed and lost, they have found that hiring MMAAS as their accountants in Southall has freed them up to work on expanding their businesses and building an empire they have always dreamed of. Or if you’d like to visit us for a cup of tea, you’re most definitely welcome to come to our office in Stockley Park, Uxbridge. If you’re travelling from Southall by car, it shouldn’t take you longer than half an hour if you take the A4020 or A312. If you’re travelling by public transport, take a train to Harlington then get on the U5 bus. Altogether, this should also take no longer than thirty minutes. We hope to hear from you and look forward to working with you.